Families who don’t vaccinate their children in Missouri say they are discriminated against at schools and doctors’ offices, and they want that to change. On Monday afternoon, Representative Lynn Morris proposed a bill to a House health committee to prohibit what is described as ‘vaccine discrimination’ for children who have received exemptions from vaccinations for medical reasons and religious beliefs. Morris, who was a pharmacist, says he is not against vaccines, but rather for safe vaccines. He says county health departments and physicians should respect the rights of those who do not want to vaccinate their children. Supporters of the bill include parents who oppose vaccinating their children for medical or religious reasons, and have said they are discriminated against from doctors, schools and socially. Clarinda Olenslager is a mom from Camdenton. 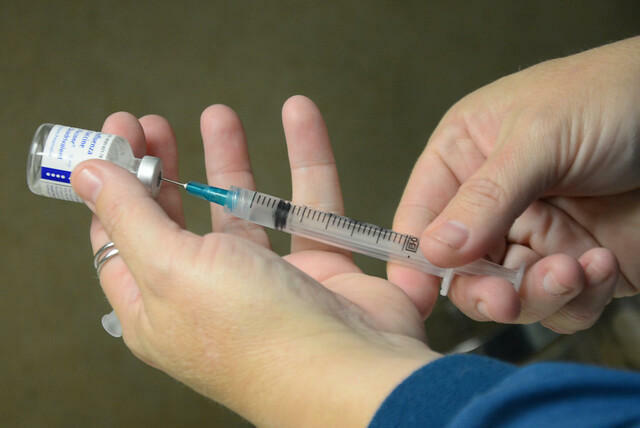 “When I told her I would refuse the DTAP vaccine and the flu vaccine, that’s when she said she was no longer interested in being my care provider for this pregnancy,” says Olenslager. Katie Blount is a pediatrician in Missouri who says she has concerns about the bill and misinformation surrounding vaccination on the Internet. “Vaccines are one of our most safest, studied, effective ways to take care of kiddos. It’s the best way that I know to take care of my patients, and I hope that Missouri can have strong policy to support that,” says Blount.